Baizid Steel Ltd. is an industrial complex comprising of Re Rolling Mill which produces QST500+TEMPCORE MS Bar(BAIZID STEEL), Melting Plant which produces MS Billet(CSS Corporation Ltd.)and 25MW Captive Power Plant(CSS Power Ltd.) to support it’s own demand and to supply power to the national grid. Stage 1: Raw Materials: We use MS Scrap as raw materials procured from Foreign Countries and Local Ship Breaking Yards. By using scrap we make MS Billet which is used as raw material for making MS Rod.Procured MS Scrap is first stored into Scrap Yard located at Factory premises. From Scrap Yard, Scrap is shifted by a Magnet suspended from Over Head Crane(EOT Crane) to Vibrating Feeder located at Furnace Floor. 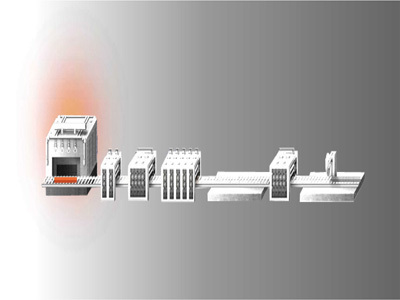 Stage 2: Induction Furnace: By using Vibrating Feeder Scrap is poured into Induction Furnace where it melts up to 1650°C. Induction Furnace is a steel melting furnace consists of copper coil through which High Frequency Electricity is passed and the scrap placed inside the copper coil melts by induced current from copper coil. During melting of scrap in the furnace, molten metal samples are taken several times to check the chemical composition of the metal by Spectrometer. FerroManganese(FeMn), SilicoManganese(SiMn), Ferrosilicon(FeSi), Sponge Iron and other chemicals are added during melting in furnace to achieve the desired composition. After completion of scrap melting with desired quality, it is tilted into a Ladle suspended from a EOT Crane. Stage 3: Ladle Refining Furnace(LRF): The crane shift the Ladle filled with molten metal to LRF. 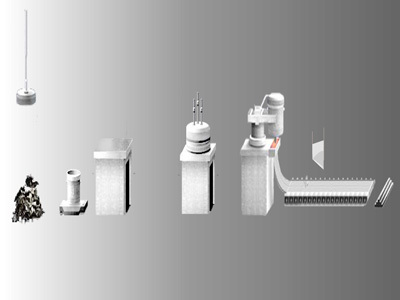 LRF is a refining furnace consists of three electrodes suspended from top which creates electric arc. By using electric arc, further processing of molten metal is done in LRF. If any other inclusions like slag, trapped oxygen present in molten metal which is harmful for MS Bar are removed here. Stage 4: CCM (Continuous Casting Machine): After being processed in LRF, the molten metal contained in Ladle is shifted to CCM by EOT Crane. Here molten metal from Ladle flows down by the bottom hole of Ladle which is opened after going to CCM. Then it flows down to Tundish(A metal reservoir) from where molten metal casted into billets of 100mmX100mm or 125mmX125mm size. 1. Step : Raw material (Billets) tested in our lab and if the reports are satisfactory then it is issued for the further processing. 2. Step : Tested Raw Material is put in to the Re - Heating furnace where 11000C- 12500C Appox. Temperature is provided to make the raw material rollable. 3. Step : Hot Raw material is taken to Following ( 13 ) stands where it is passed through various sized Rolls depending upon the size to be produced. 4. Step : After the product is passed through the finishing stand further go through PLC (Programmable logic control) Controlled Thermo Mechanical Treatment Plant where Bars Quenched & Tempered. 5. Step : After the product is passed through QST Plant its piece is taken and checked by the quality controller with the help of vernier and its weight is also checked by the quality controller. This inspection is carried of by the quality control for every batch of billet. If it satisfies standard quality then it is moved to step 6 if not then product is sent to steel plant to be used as scrap. 6. Step : Finished product is taken to the shearing Machine by the labor and where it is cut into desirable sizes. 7. Step : Different bundles are prepared of different sized products and are well placed.